When you hear the term “duck fat”, you might think of gourmet French cuisine or the duck fat fries that are now common in high-end restaurants and bistros. But duck fat doesn’t have to be reserved for special occasions or fancy food with elaborate preparations. Not only does duck fat provide unparalleled flavor to just about any dish – from the original “French fry” to green vegetables and grass-fed steaks – it also provides a variety of health benefits. 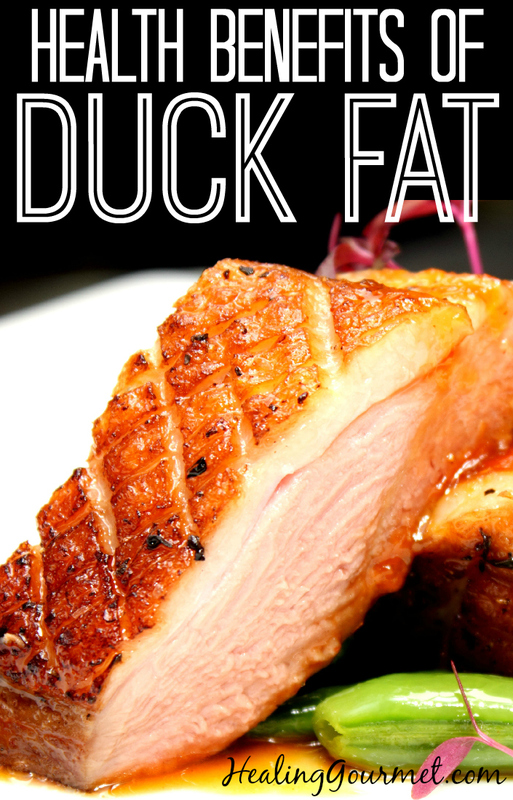 Duck fat is nearly 51% monounsaturated fat, with 36% saturated fat and 14% polyunsaturated fat. Because of its high proportion of monounsaturated and saturated fats, duck fat remains stable during cooking. Not only does this preserve the delicious flavor of the fat, it also reduces the risk of creating lipid oxidation products (LOPs). These harmful compounds can form when certain fats are exposed to high heat. They have been associated with cellular damage and heart disease. Perhaps equally important to your health is the lack of processing that duck fat undergoes. While most cooking fats and oils are treated with chemicals, as well as bleached, deodorized and refined, duck fat is simply rendered, or gently “melted” away from the flesh. This creates a healthy cooking fat in its purest form. French Paradox: People in the duck-fat loving Gascony region of France have ONE FOURTH the heart attack deaths of the vegetable oil-consuming U.S.! Whether it is the healthy balance of fats, its stability under heat or the lack of chemical processing, researchers have found that populations which traditionally rely on duck fat enjoy better heart health. In the United States, 315 of every 100,000 middle-aged men die of heart attacks each year. In France the rate is less than half that (145 per 100,000). But in the Gascony region, where goose and duck fat, organs and meats are a staple of the diet, the rate is only 80 per 100,000. That is a mere 25% of the heart attack deaths seen in the U.S. where vegetable oil is the predominant cooking fat! Whip Up a Batch of Gascony Butter: Gascony butter is named for the region of France that enjoys exceptionally rich cuisine and low rates of heart disease. You can easily make this delectable spread by mixing rendered duck fat with quickly blanched, finely chopped or minced garlic cloves. Add a scoop to soups, melt over grass-fed steak or lamb chops or spread onto your favorite grain-free toast points for a satisfying dish. Make Rich, Meaty Roasted Mushrooms: Choose your favorite mushroom, or opt for a medley including chanterelles, oysters, and sliced baby bellas. Toss with melted duck fat and organic Worcestershire sauce or coconut aminos and roast at 375 F for 20 minutes. Toss occasionally to ensure that they cook evenly. You can also sauté in a ceramic or enameled cast-iron pan on the stove for better control. Sear Meats & Seafood: For rich flavor and a delectable golden brown color, sear all of your favorite meats – from rich grass-fed filet mignon and hanger steaks… to pork chops and shrimp – in a dollop of duck fat. It is also the perfect fat for searing duck liver to gently brown and infuse it with more wonderful flavor. When looking for duck fat, make sure to choose the highest quality from animals raised right (we recommend US Wellness Meats Free Range Duck Fat). Remember – this doesn’t just make for a more flavorful ingredient. It also helps to ensure the healthiest fatty acid profile. Want to render duck fat yourself (while also enjoying delicious meals of meaty duck)? Start with lightly salted duck breasts placed skin-side-down in a cold enameled cast iron pan. Bring the heat up very slowly. You will see the duck fat begin to render and fill the bottom of the pan. Continue raising the heat gently to begin cooking the meat. Pour off and strain the fat into a glass container. With two duck breasts you can get as much as a cup of rendered duck fat. You can also use duck skin from a whole duck. Simply dice the skin and add it to a shallow pan with ½ cup of water. Simmer over medium heat for roughly one hour. The water should evaporate during this time, leaving just the fat. Strain through a sieve. Whichever method you choose for obtaining this highly prized fat, you’ll find that this classic ingredient will elevate even your simplest everyday recipes to extraordinary! I use duck fat a lot and really enjoy it. I was hoping you would discuss frying chicken in duck fat. I love cooking just about anything in duck fat. It makes roasted mushrooms really meaty and robust, southern-style greens a bit more upscale and anything fried better. I would only use Organic wild raised Duck. Animal source Saturated fat is a repository for pesticides, herbicides, evironmental toxins. Also duck is not compatable with Blood Type A endothelial tissue and can result in damage to sensitive arterial linings. 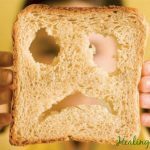 We do solely recommend pasture-raised duck and talk extensively here at Healing Gourmet about the dangers of conventionally-raised meats and dairy. Atthe same time you suggest roasting mushrooms in duck fat at this same temperature. Would that not be a little too close to the smoke point ? Or have you given a sufficient margin of leeway? 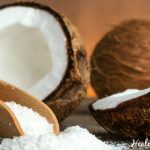 Hi Kelly, I cook with duck fat and coconut oil, sometimes I even blend them! I never use “vegetable” oils, won’t find them in my home! Every morning I cook eggs and potatoes in duck fat! We make homemade popcorn and fries using duck fat! Eggs and potatoes fat? I want to have breakfast at YOUR house 🙂 Sounds incredible and thanks for taking the time to stop by and comment.